I previously taught exercise physiology and biomechanics on behalf of the University of Hull and at York St John University. I am a qualified teacher, coach and member of the British Association of Sports & Exercise Scientists. I have extensive experience evaluating exercise testing and providing personal training to individuals and aspiring coaches. I have widespread knowledge of the sport with over twenty five years’ experience as a cyclist competing in Time Trials, Road Races, Sportives and Duathlon. 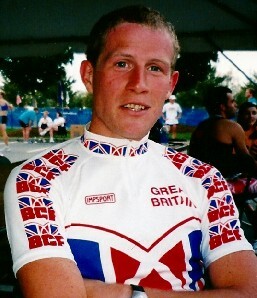 I have represented Great Britain at the UCI World Championships (Time Trial), held National Records and taken part in events around the world. I also organise cycle events and sportives. I have competed as a GB age group Duathlete and completed Le Marmotte sportive in the French Alps, meeting the gold standard. Once upon a time I even held three world records on a tandem!